Hello new bloggers + friends! Do you know how to install WordPress, or was it done for you? I was on Facebook the other day when I noticed the thread of a distressed newbie blogger. She had purchased a domain name and hosting package from Siteground, but was having trouble installing WordPress. It reminded me of the time I that I bought a domain name and hosting package, then because I didn’t know what to next, I abandoned the entire idea of having my own website. I can’t believe that I let that tiny bit of knowledge (or lack of) keep me from pushing forward! That was several years ago now, but I wanted to say, “I get it!” I totally understand the confusion of web hosting, domain names, site builders, etc. There are still things I don’t understand, but I wanted to share this super easy-to-follow tutorial on how to install WordPress with Siteground. Siteground is the hosting company I use and recommend, and they make it super easy to install WordPress (which is where all of the magic happens). As an affiliate of Siteground, our link will give you a 60% discount on the StartUp WordPress hosting plan if you sign up today. Cheers! But if for some reason you still need help, this tutorial is just for you! This tutorial assumes you’ve already purchased hosting specifically through Siteground and already have a domain name with them. 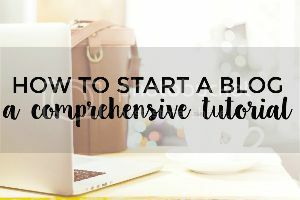 I have a tutorial all about how to start a blog here, and it covers some of the same stuff, but this one is specifically on how to install WordPress. You just need help installing WordPress for any other reason! Step 1: Sign in to Siteground. Duh! This may seem obvious, but I do have a few notes. Your sign-in information will be completely different than the sign-in info you use to access your site later. That’s something I failed to understand when I was starting out. You’ll use Siteground only to buy domain names, make changes to your hosting plan, etc. Your site will not be made or accessed here! Step 2: Head over to your accounts. Step 3: Click “Manage Account” on the appropriate hosting account and domain name combo. Step 4: Go to your cPanel. Step 5: Select the WordPress icon. Step 6: Hit the install button. You’ll want to change your domain protocol to, “http://www.yourdomainname.com.” HTTPS protocols are only for secure sites, which you probably don’t have (you’d know if you did). Then, make sure the correct domain is selected. This should be automatic. Leave the “In Directory” option blank. On that same page, scroll down and customize your Site Name and Site Description. These things will be used in searches, so don’t leave them as-is. Next, make sure you pick a different username and password! 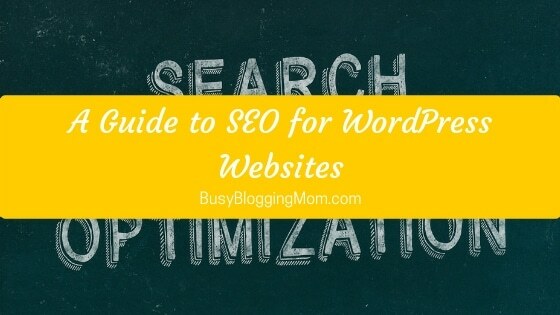 You’ll use them each time you access your site and write blog posts. Write it down – you’ll need it in a different step. Step 8: Complete installation + go to admin panel. Copy and paste the “Administrative URL” – that’s your magic URL that will allow you to start building your site. It’s just your domain name plus “/wp-admin/” – save that baby. Bookmark it if you need to. Step 9: Sign in to WordPress! Play around with WordPress for awhile before advertising your site to anyone. Some bloggers suggest having ten blog posts written before going live. I say WHATEVER. Consider making a mood board or style guide to decide what colors and attitude your blog should have before you go customizing it all. 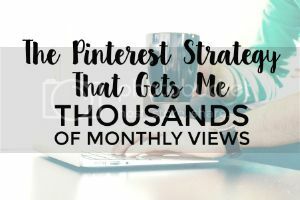 You can browse Pinterest with those keywords to get inspiration. A good theme is important for customization – I use Genesis + Avada right now. Don’t go too crazy with plugins! 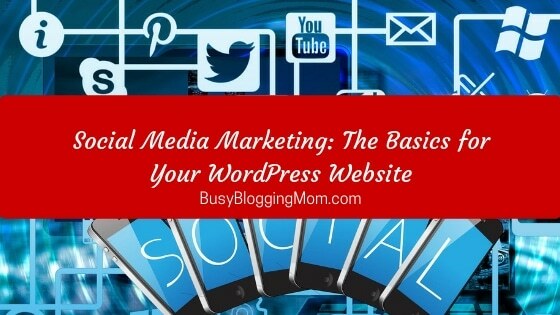 If you are unfamiliar with that term (or other blogging terms), you can check out this post defining them. Read this post about what to do and what to avoid in your first month blogging. I hoped that helped! If you have any questions, please feel free to ask! 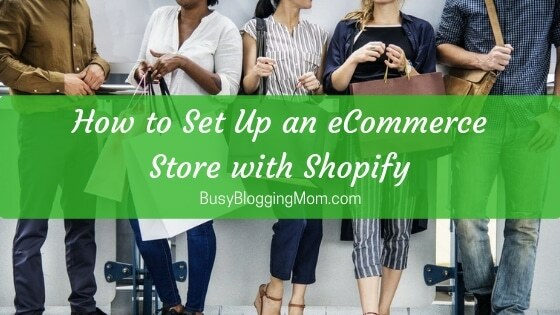 I love helping new bloggers whenever possible! 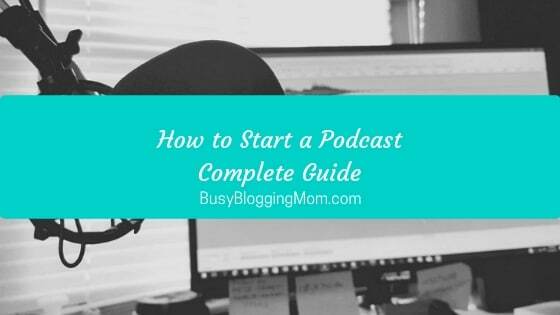 Don’t forget that if you haven’t started a blog yet, this other tutorial is here to help! Great tutorial! I like how you take us through every step like that. I remember how lost I felt when I first signed up to web hosting. Yes! That’s exactly why I did it. Even the “quick start” guides can be confusing if you’re brand new. Thank you. 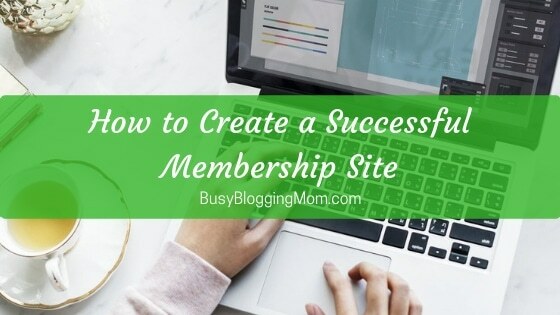 I am working on a freelance biz and your tutorial and comments in a FB group we are both part of helped me make a decision on hosting and Intstall WP – it seemed so daunting! Thanks for taking the scary out, now to the tinkering part. I also have an idea for a blog, more of a passion project, so your advice will come in double handy. Unless I decide to merge the two. No problem Brandy! Thanks so much for stopping by! I tried this, following your instructions to a T. No luck still, though. When I plug in the new wp-admin into a new tab, I get a message that says service is unavailable. Ideas? TIA. I get the same message as Jamie! Help! I have installed WordPress, but when I go to my website (even with the magic URL, it says that the website is coming soon. So I guess I can’t get into the back end where you log on. Thank you so much for posting this tutorial! I was getting sooo frustrated with all the tutorial videos and websites out there. This post made it super easy and a breeze to set this up. I have one question though! I changed the Protocol to “http://www” like your step 7 mentioned, and my website works with that protocol “http://www.wildvioletstudios.com” but how do i get just “wildvioletstudios.com” to show up? Right now, the default Siteground page pops up and says it’s still being built instead of redirecting to www. Is there another step I need to take for that? This was tremendously helpful! Only took a few minutes and saved me from stressing out. Awesome tutorial and very nice blog site. I was debating whether or not to pay a web developer to just simply install wordpress as I now have Siteground hosting as well. Your tutorial answered that debate for me; I did it myself. Thanks for your efforts in providing such a detailed breakdown for us technically web challenged folks. Thanks for the easy tutorial! I was all excited to finally purchase hosting and then it was like, ok what now? haha Appreciate the info! Thank you so much for the easy step by step! Only problem is every time I copy and paste my admin url, it takes me to my blank go Daddy page and I can’t figure out next step. Has anyone else had this issue? I’m having similar issues that others noted, when I try to log into the admin, it says site not found. Feeling so over my head right now! Just in case you haven’t figured this out yet, this was happening to me so I contacted my hosting service and it was because my domain wasn’t pointed towards them. It had something to do with the name servers. So maybe contact whoever you have your hosting through and see if they have any insights! My question is, what do you recommend to put in site name and site description? Just one phrase/word, or a group of them separated by “commas”? Thank you soo much this really helped! I was basically pulling my hair out but your steps made it simple. Omg thank you!!!!!! Everything else I read and tried was so complicated I was almost in tears.